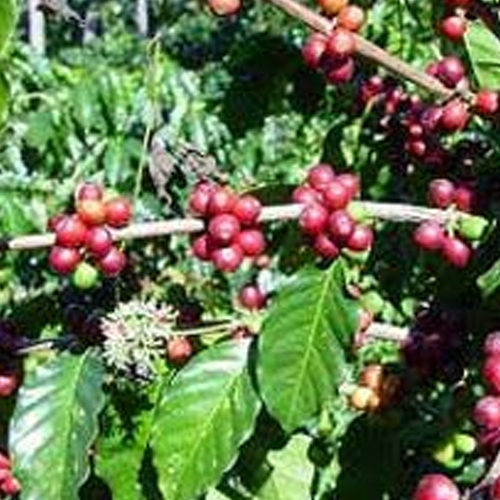 Earliest cultivated species of the coffee tree, Coffea Arabica is still the most widely grown across the world. The oil is non-toxic and non-comedogenic. It gets quickly absorbed leaving a light, non-greasy feeling. Dark brown opaque in color, the oil is slightly viscous and soluble in fixed oils and partially soluble in alcohol. Blends well with essentials oils like amyris, ambrette seed, black pepper, balsam of peru, cocao, clove, jasmine, ginger, labdanum, patchouli, sandalwood, lavender, vanilla and vetiver. The oil has a rich, strong aroma of dark roasted coffee with antioxidant property.Due to this; the oil finds its wide applications in anti-aging skincare formulations. Suitable for anti-cellulite body care products, the oil contains a small amount of caffeine. This oil is quite safe, non-irritating and non-toxic for use in cosmetics. The oil should be diluted before use. For sensitive skin, a patch test should be done with this oil. Allergic to coffee should avoid this oil. These are the leading shipping partners of our company UPS, TNT, DHL, Fedex and EMS who help us in safe delivery of the essential oil.